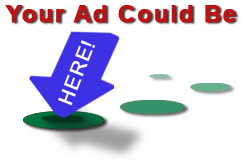 ← What’s an Opening Bid? We recently made some programming changes to address various issues. 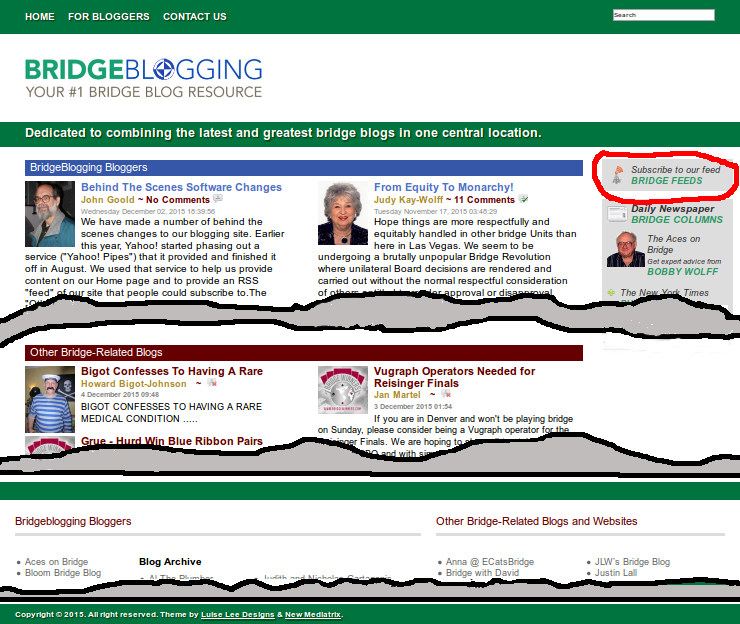 There is a doctored picture of the bridgeblogging.com Home page below. I’m a lousy artist, but it should illustrate the two changes that have been made (discussed below the picture). 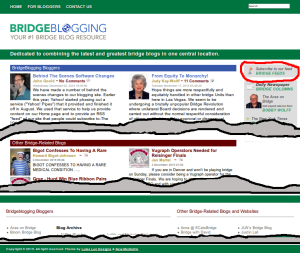 There are two main areas on the Home page where we present excerpts of blog posts: The top one with a blue-background title contains excerpts from the bloggers we host on bridgeblogging.com; the bottom one with a reddish-brown-background title, bloggers hosted elsewhere. That bottom one has been re-worked so that it gets updated hourly, without reliance on a service we previously used (and which was shut down). At the top of the right-hand sidebar (circled in red in the above), is a link that can be used to subscribe to a “feed” that is updated as our bloggers create new posts. It has also been updated because of the reliance previously mentioned.